Warning – this post is crawling with spoilers! If you haven’t watched Stranger Things yet, turn back now and return later. Or just read it. But don’t say we didn’t warn you. Forget football, superheroes and the Olympics: 2016 belongs to three boys, their psychic friend and a weird dimension-shifting monster. Stranger Things is undoubtedly the best series of the year and thankfully its returning for a second season in 2017. But what are we supposed to do until then? Speculate on what will happen next of course! Here are some of our theories. Feel free to share yours in the comments! The final episode of season one was unashamedly inspired by Alien, from the weird egg Chief Hopper approaches (admit it, you thought a facehugger was going to jump out) to the horrifying moment Joyce and Hop find Will in a cocoon with an alien snake down his throat. One of the episodes in Season 2 is called The Pollywog, which is another term for a tadpole, and it’s safe to assume that this refers to the nasty little slug Will coughs up. If he’s been coughing them up for a month and they’ve all gone down into the sewers, Season 2 could see a whole army of Demogorgons attacking Hawkins a la Aliens. Will the boys start wielding pulse rifles? Will Joyce commandeer a power lifter to fight the Demogorgon Queen? Here’s hoping. This one is fairly obvious because a) Chief Hopper doesn’t seem like the kind of guy who’d waste his time taking waffles into the woods for sentimental reasons and b) Eleven was the best character not named Dustin. There are a gazillion theories over on Reddit at the moment but this one from user GhostriderFlyBy is one of our favourites: the Demogorgon is a projection of Eleven’s subconscious. There’s plenty of evidence to support this theory, including when Eleven even says “I’m the monster”. That’s obviously not literal, but how about the fact that Eleven is the first to meet the monster or when she travels to the Upside Down, it’s completely black like her previous adventures into her mind? It’d certainly explain why she and the Demogorgon both disappeared after their battle. When everyone is in hospital waiting for Will to wake up, Hop walks out and jumps into a black Sedan with some shady looking dudes. Despite his womanising and immense smoking habit, Hop’s ability to break into secret facilities with just a pair of wirecutters and a mean right hook make him a prime candidate for undercover agent work. But, as we discovered in season one, pretty much all undercover agents are pure evil, which means our favourite police chief may have joined the dark side. Unless he’s a double agent and using his new role to find Eleven and blow the conspiracy wide open. We imagine the salary’s pretty good too. From her name, we can assume Eleven is the 11th kid Dr Brenner has tried to turn into a dimension-travelling demigod. What happened to the other 10? Are there more? Given that we didn’t see Dr Brenner and his magnificent hair get eaten by the alien, the safe money is on him coming back, hair and all, and maybe bringing some new psychic kids with him. 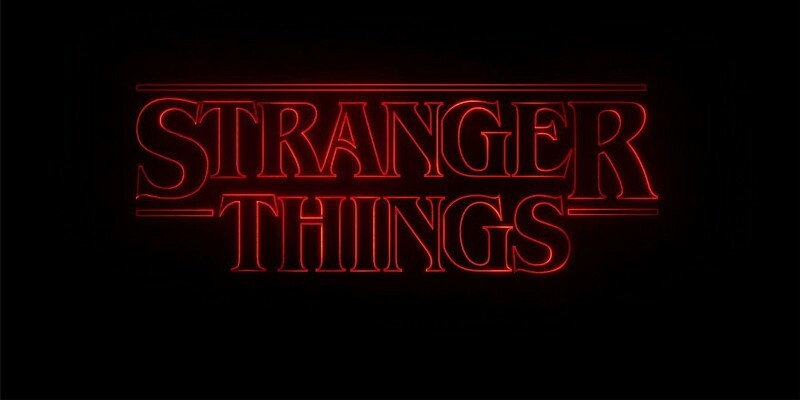 There are so many references to The Thing in Stranger Things – the poster in Mike’s basement, Jonathan and Nancy’s attempt to burn the monster to death, Mr Clarke’s weird date night movie choice (which seems to be working before Dustin calls too, the old smoothie) – that we wouldn’t be surprised if season two took it one step further and introduced a shape-shifting alien into the mix. And what better choice than the boy who is coughing up alien slugs? Turning Will into an undercover Demogorgon ready to drag more people into the Upside Down would be a seriously dark move, but The Duffer Brothers have said Season 2 will be a lot darker than the first. Twin Peaks fans may have noticed that Will’s lurch over the bathroom sink was a lot like (spoilers ahoy!) Agent Dale Cooper’s just before it’s revealed he’s an evil doppelganger from the Black Lodge. Love Stranger Things? Check out some of these movies and TV shows too! If you love the soundtrack, we’d also recommend checking out S U R V I V E, the band who wrote it – you can pre-order their new album right now on the musicMagpie Store. And if you need some extra cash for fairy lights so you can communicate with the Upside-Down (or for anything else), don’t forget you can sell books, CDs, DVDs, Games and Electronics with us too! Just click below to get an instant price. ← Friday Five: Are you David Brent?